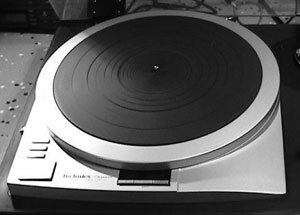 Perfect turntable. Had the SP10 before and in operation or sound there hardly is any difference. Running with the EPA 501 on a EPA b500 with an AT33ML cart and it is hard to beat. SP 15 is mounted in the obsidian stone plinth. Certainly a winning combination.